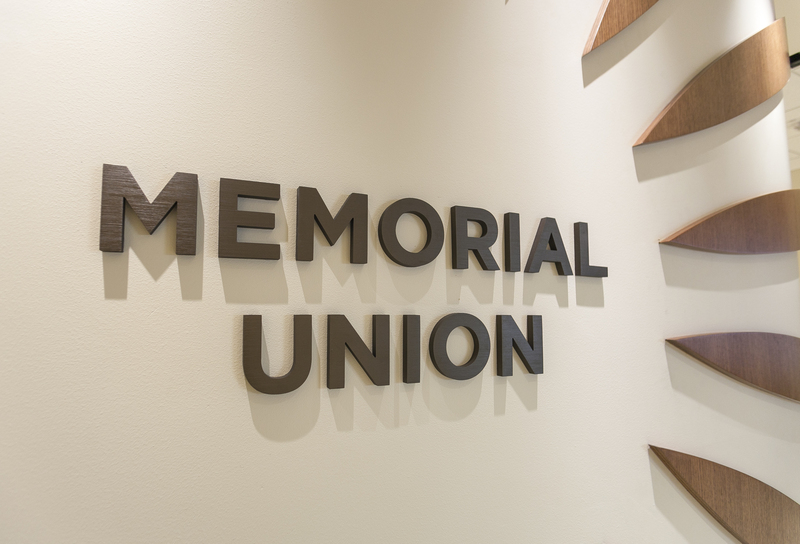 The first floor of the newly remodeled Memorial Union was unveiled Monday, just in time for finals preparation at UW-Madison. Photo by Brian Ebner/Optic Nerve. The wait is over. After months of construction and renovation, part of the first floor of the Memorial Union opened Monday, Dec. 5, just in time for upcoming final exams at UW-Madison. The renovated area provides much-needed spaces for students to study, recuperate and refuel. 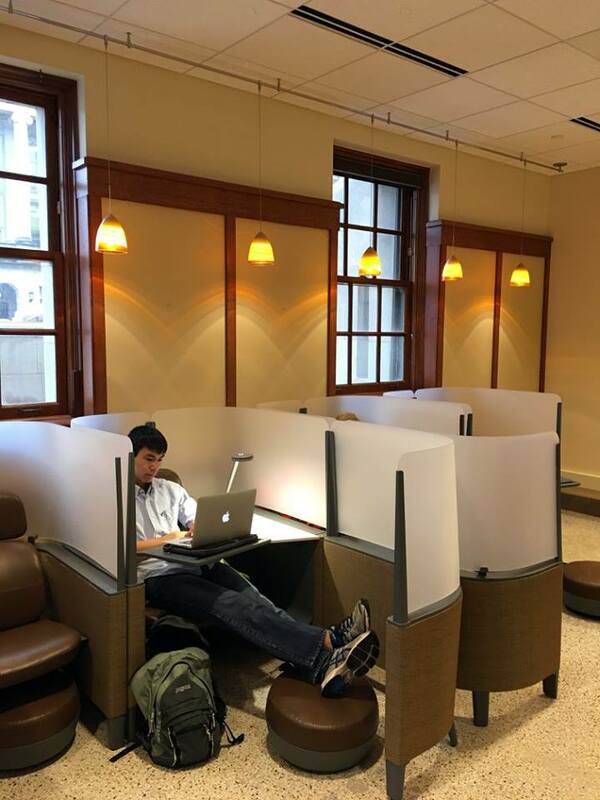 The new first floor includes a plethora of study spaces, including personal desk cubbies that guarantee maximum focus. Photo courtesy of the Wisconsin Union Facebook page. Union staff have made sure the first floor has cozy seating and accessible outlets, as well as several individual desk cubbies for maximum focus. These elements will help students prepare for their finals in a comfortable, laid-back environment. The Wisconsin Union has also kicked off Finals Frenzy to keep students’ morale high during this crazy time. From Dec. 5-23, the Union offers deals, food and events, including daily Penny Promotions, fun giveaways, study halls and free art and crafts. “With final exams approaching, offering the first floor to our campus community, especially UW-Madison students, is a priority for us at the Union,” said Wisconsin Union Director Mark Guthier. 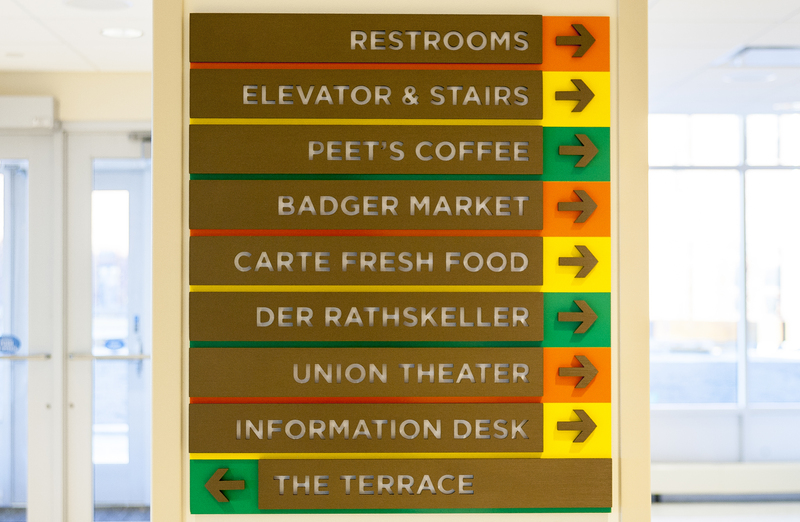 Students and community members can find food and drink options at the Daily Scoop, Badger Market and Peet’s Coffee & Tea. The venues have changed locations on the first floor and have been reimagined and modernized, and their menus offer snacks and caffeinated drinks to fuel students’ long study sessions. The rest of the first floor, including der Rathskeller and new eateries Carte and Strada, will be fully operational in January 2017. Check back here for more updates on the Memorial Union Restoration project (MUR), which began in 2012 and will continue until fall 2017. Favorites like Peet’s Coffee and the Daily Scoop have been upgraded to provide more drinks and snacks for Union-goers. Photo by Brian Ebner/Optic Nerve. Ellie Borstad is a junior at UW-Madison double majoring in Journalism and Spanish. You can often find her running on Lakeshore Path while the sun sets or chowing down on a brat at the Terrace.